For the former deputy governor of the central bank, the RBI was not just another economic institution; it was the final frontier that kept fiscal policy in some sort of check, says T C A Srinivasa-Raghavan. Few people born after 1980 would know of S S Tarapore. He retired from the Reserve Bank of India (RBI) as deputy governor at the end of September 1996. When his last day at RBI ended, he refused the official car. He took the lift down, walked out of the gate, hailed a passing cab, and quietly went home. His finest years came when he served as deputy governor under C Rangarajan. The mutual understanding and respect led them to reform India’s financial sector and put it on a sound footing. He was, as many in RBI acknowledge, the central banker’s central banker, a man so steeped in macroeconomic and monetary theory that for more than a decade after he formally left RBI, governors would seek his wisdom. After retiring, he chaired two committees on full capital account convertibility and one on how to streamline the RBI. Between 1997 and 2016, he wrote and lectured on a scale that is hard to emulate. Through it all, he remained steadfast in his belief that RBI knew what it was doing and ought to be left alone to get on with its job, which was maintaining the monetary stability of India. He used to get very angry at attempts to reduce RBI’s remit and in recent years became, as it were, the Keeper of the Flame, defending RBI’s faith and its mandate against the barbarians at the gate. He recently described the FSLRC’s attempts at financial reform as “a plot to destroy RBI”. For him, RBI was not just another economic institution; it was the final frontier that kept fiscal policy in some sort of check. That he did not always succeed and that often the finance ministry ignored his admonitions, entreaties and wisdom, only to rue the fact later, was not his fault. I had the privilege of knowing him for nearly a quarter of a century and, in fact, we were to have had lunch at his residence a few days ago. I am now told that if I had not had to call off the meeting, he would have had to, having taken ill.
A more honest man it would be hard to find. A more humble professional possibly doesn’t exist. A less pretentious personality is a rarity. He was, as I discovered, the very embodiment of discretion. In 2006, RBI asked me to record on audio and video tapes the memories of senior RBI officers to assist with RBI’s history project. Tarapore was an obvious candidate. T K Chakrabarty, who is now retired, and I recorded him for almost 20 hours. Conscientious as ever, he was the only who came prepared with detailed notes, written in one of those school note books. There were pages and pages of them and he went through the whole lot over two days. As ‘pieces to camera’ went, it was as good as any ever. He was 70 years old then but would speak without pause for an hour at a time. After the recordings had been deposited with RBI’s archives, something happened to annoy him and he wrote off an angry instruction that his tapes were not to be disclosed to the public for 30 years after he passed on. That means the tapes will become available only in 2046. More is the pity. He did his duty in cautioning the reckless, whether they were self-seeking politicians or innocent former judges or brash young economists, with a zeal and devotion that earned him the sobriquet of ‘old fashioned’. Calling him names did not, however, reduce the force of his logic and arguments. But death has done that now and India has lost an important nationalist. 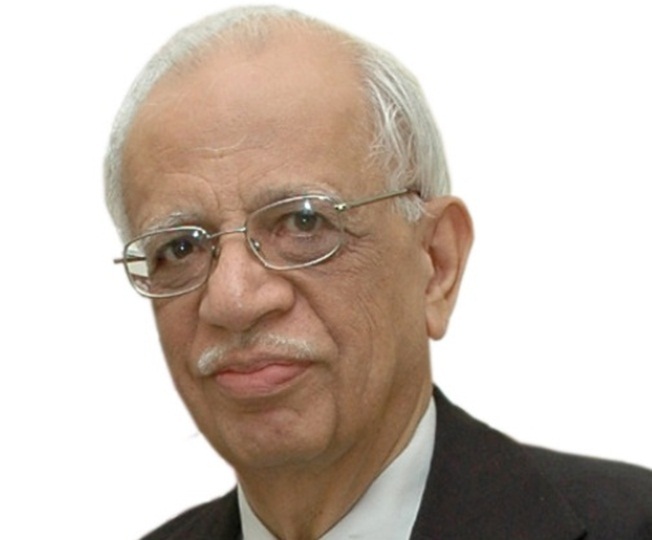 On his retirement, S S Tarapore became a columnist with Business Standard and remained one for many years.